Not yet no. When people have been contacted, as Faya stated, we'll know as she'll update the main post as well as comment a separate message. The game already looks good enough for a sim-cade. What CM really need to not drop the ball on is overall game stability. Cheating online possible online lobbies? I've had this before. It's a visual error on the game's part for not updating which ERS mode said driver you're spectating is in. Pretty good chance they were either a league racer or an alien, or both, if they weren't cornering at ridiculous speeds or exceeding 240 mph on the straights. That + it's on PS4. I'm not sure you can mod a game on PS4 and even if you can, I'm fairly certain connecting to the internet on said system will see you IP banned in a matter of minutes. Yeah, FOM have done a really bad job at making sure basic stuff such as an Etihad Airways billboard doesn't trigger a copyright claim. All CM can do is ask FOM to stop letting this happen. The algorithms must have some sort of advanced stupidity then, because I've had several streams claimed and monetized by FOM for driving down the front straight in Abu Dhabi. First few were on 2017, took two months for it to be reversed. The recent three happened on 2017, and apparently the algorithms believe I pirated and uploaded practice 3 from Abu Dhabi 2017 or believes it's GRID 2 footage. Didn't know a game intended to loosely simulate a race from the year 2018 = a practice session from 2017, but whatever floats their boat I guess. No worries. If you aren't going to be playing competitively, then do whichever makes the most sense for you. I was under the impression you were going in that direction. Here's how I usually set up my cars when I drive in 2018: Wings are usually spread apart. This is so I can run a higher ballast and get more turn in while stabilizing the rear and keeping the overall wing angle down. (ex: I ran 3 front 8 rear at Australia in my league race yesterday) The lower this number overall, the more straight line speed you'll have. The higher the number, the more cornering ability you'll have. This has a huge trade-off, so use it accordingly. For the differential: The on diff will affect how much traction you have in certain corners. Higher speed corners on tracks like Silverstone, Suzuka, usually need a higher number since it'll give you more outright traction and turn-in mid-corner, whereas places like Baku, Monza, Singapore, I usually leave it down at 50% so I can get better corner exit traction. It's all dependant on the track you're at. If at any point it rains in the session, turn it down to 50% as soon as you start seeing water droplets. You will basically bin it in the wall if the on diff is open at all. The off diff controls how quickly/slowly the wheels slow down under braking. It took me a while to figure this out, but I noticed the higher the number was, regardless of what my brake bias was, the more uncontrollable the rear became when I slammed on them for a corner (ex: turn 3, penultimate corner Australia). It's usually a good idea to keep this between 80-90% at most tracks in the dry. If you know it's going to rain the majority of the race, turn this down 10% from whatever you would run in the dry. It helps alleviate lockups. For the suspension geometry: All tracks, except Singapore I believe, usually work best with the first two all the way to the right and the last two all the way to the right. This maximizes top speed and stability. I tried messing around with this and got loads more turn in, but loads more tyre wear and oversteer in the process. That's never a good combination. Use this in both the dry and wet. For the suspension: The stiffness dictates how much the car suspension travels under braking, acceleration, cornering, and when riding the curbs (the most important of the 4 in the 2018 game). While this can help cornering ability slightly, the higher the number, even by just one increment, can have detrimental effects on how your car handles curbs, which are useful to ride on when trying to minimize laptime. 9 times out of 10 stiff suspension on curbs = stuffing it in the wall and retiring. Don't run higher than 4 on most tracks, 5 or 6 on the rest. Always remember to keep your rear suspension 1-2 clicks lower than the front, otherwise you'll have oversteer problems. If you like a loose car, or the track is unbearable to drive with it lower, match them, but never go higher. Anti-Roll Bars (I'll refer to them as ARBs) play a very large role in how the car handles corners. I've recently started using higher numbers so I can keep the downforce down even further. Sometimes you'll need to reduce these in order to control the car effectively in the wet. I'd go down one click on the front, and depending on the conditions, one or two in the rear. NEVER let the rear ARB exceed the front. You will have a bad time if you aren't used to lots of oversteer, and a bad time in general with tyre wear. I only let them match at Brazil, where cornering ability is crucial in the second sector and first half of the third sector. Play around with these. Keep in mind that the higher this goes, though, the lower your rear balllast will be (usually not more than one to two clicks), and in some extreme cases, the lower your front wing. Ride height plays a large role in the amount of under/oversteer you get in corner entry, as I've come to understand. Generally you want to run a positive rake angle, meaning the rear ride height is higher than the front. On most tracks my front ride height is at three, some I run two, and there was one instance where I ran one. Your rear ride height will usually be two clicks above whatever your front is. A few tracks require that gap to be three. In the wet, set your rear ride height to 11, and your front ride height to 11 - whatever the gap was originally, so for example if you were running 3-6 ride height, it would go to 8-11. If it was 2-4, it would go to 9-11. You want to do this to avoid aquaplaning, which will cause serious over AND understeer and lockup issues. The higher the ride height, the less likely you are to aquaplane when it's raining. But keep the overall rake angle the same. For the brakes: This is entirely dependent on your driving style. If you like braking late, you'll want to use high braking pressures so you can effectively stop the car in time. Be warned though: you are prone to lockups this way. If you don't like that, you'll want to use a lower braking pressure. This will alleviate lockups, but this will also mean you'll have to brake a few meters earlier in most corners. Generally the pressure you want to be running in the dry is +/-85%, depending on what your driving style is like. I personally have never let mine below 85, and I usually run 90% on most tracks. This is where your brake bias and off diff come into play. You'll usually want your off diff below 0-8% of whatever brake pressure you're running. Either match your pressure, or subtract a number within that range. Play around with it and see what suits you. Your brake bias can run as high as 56% but after that you'll basically be locking up everywhere. Generally most tracks use about 54%, some work best with 52%. I like to in/decrease mine in steps of 2, but if I find that they're not working I'll start changing in steps of 1 instead. In the wet, I wouldn't run a bias higher than 54%. It's hard not to lock up in the wet and the bias plays probably one of, if not the largest roles in whether or not you'll be locking up a lot. Do keep in mind that brake bias plays an equally large role in tyre wear offset, so the further to one direction it is, generally the higher the wear is in that direction, and this is magnified in the wet by up to three times in the rear if your car isn't set up properly. One last thing - something a racemate of mine recently discovered (don't remember if it was him personally or found this out through someone else) is that the ERS recovery occurs slightly faster the further to the rear it is. I personally have noticed a minute difference, but this could just be due to the fact that I was using the brakes slightly more to control the car's rear. Not sure if the game is actually programmed to do that or not, but it's something to keep in mind if you're running out of energy constanly. For the tyres: In the dry and wet, the pressures are drastically different. On tracks where cornering is extremely important, minimize pressures. Some cases, all the way down to the very bottom. It makes the tyres sit flatter, keeps them cooler, and as a result you'll have more grip in abundance and for longer into a stint. On tracks with lots of straights, set them higher, but don't max them out. You'll get some slight understeer but this can usually be resolved with higher ARBs. It'll cause you to have your tyres run hotter thus retaining heat (which on power tracks is a good thing since you're turning less and thus the temps will be lower), and your straight line speed will improve. Run your rear tyre pressure 1-2 clicks lower than the front to reduce oversteer. Remember that F1 cars are RWD, so a lot more load is going to the rears. The more grip you can give them the better, but set them too low and you'll begin having understeer. Don't exceed more than three clicks lower. In the wet, set your front tyre pressure all the way to the right and your rear all the way to the left. This solves several oversteer issues, and DRASTICALLY reduces rear tyre wear, which is uncontrollable on Inters/Full wets. You will see the difference and be stunned (I definitely was, LOL) when you realize how simple yet effective a solution this is. For the ballast: On most tracks, this should not be lower than 7 and not higher than 9. Anything lower than 7 and you're going to be driving a boat. On some tracks which need lots of turn in in medium-high speed corners, don't let this exceed 9 or 10. It'll give you lots of turn in for when you really need it (I use 9 or 10 at China, for example), but it'll also give you higher rear wear and affect the amount of oversteer you have considerably. Generally you want to try to determine this at the very start of your practice, so once you have a number you like for a track, stick with it, Changing this will destroy your setup entirely and you'll have to retune a lot of things. This is usually my thought process when it comes to setting up the car. 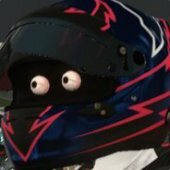 In F1 2018, there is a very large variety of things that do and don't work setup-wise that weren't possible in previous games. I'm still fine-tuning my setup and driving style myself, but there is A LOT of time to find on track once you've nailed the setup. If you have any more questions, feel free to continue this thread, open up a new one, or drop me a message. Good luck. You won't do a lot of suffering if you already have a basic idea of how the car reacts in low-grip/low-speed/high-speed situations, and how to counteract that. Even if it's just very basic. It'll take some practice to get used to, but you'll get there. Two years ago I started with a T150 and now I can't go back to pad, I would say it's definitely worth it. Just a word of advice though, being that you own the Xbox version of the wheel we share; You're going to want to get rid of those stock pedals, real quick. When you do, go for the T3PAs non-pro. It's a cheaper upgrade than the T3PA Pros are and on my initial use I made up a second in the braking zones. Good luck, and if you have any questions, feel free to drop another thread on the forums or send me a message. You guys... Don't you think Codemasters would know how to use proper English? 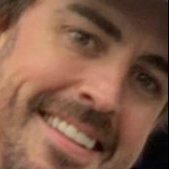 And maybe title the e-mail, idk, something more like "Welcome to the F1 2019 Beta" and start off with using your name/username and not just write "Congratulation you have been invited to play with us please reply to email?" Not to mention no word from CM or Faya. Sorry, but this looks like a phishing scam attempt. I would change your credentials ASAP. So, me being hard-headed as I am, made a rant on this game and proceeded to try again. I turned everything off except traction control (medium) and dialled the difficulty up to legend. With those settings I won three races. I still wanted traction control fully off, and I knew I essentially had a lead foot. Last night I got the idea to turn on throttle linearity, and I set it to 27. I went to Silverstone and missed pole by 0.033 seconds (1:32.248 vs 1:32.281). And I got to the race, and my God, the battles I had with the AI were spectacular. I ended up finishing second in that race, but I've never enjoyed Silverstone more than that race - and I hate that track across ALL racing games. I just wanted to know what your thoughts are on the throttle linearity.